This quarterly journal comes out in the middle of March, June, September, and December every year. Subscription fee for a year is $80.00(USD)/€60.00 for overseas delivery, and ¥100.00 for local delivery (postage is included). 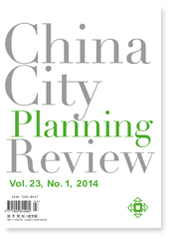 For subscription, you can use paypal, and fill in the subscription form and email it to the Editorial Department of CHINA CITY PLANNING REVIEW.